An Indian MP has been stranded 1,500km (900 miles) from home after being banned from six airlines for launching an attack on a cabin crew member. Ravindra Gaikwad, 56, beat a 60-year-old attendant with his shoe following an alleged dispute over the unavailability of business class seat. The Shiv Sena MP was left stranded in Delhi on Friday, where he was attending parliament sessions, after the airlines refused to fly him home. ANI reported that he then boarded a train from Delhi to Mumbai. The Times of India said his current whereabouts are unknown after he was asked not to disclose them by his party. "I can't tell you where I am right now. I am with my family members and I will celebrate Gudi Padwa with them before returning to parliament on Wednesday morning," he said over the phone. Gaikwad has denied Air India’s accusations that he beat the staff member as he was enraged he did not receive a business class seat, despite being advised the entire flight was economy only. “This is completely baseless,” he told ANI, saying he requested a complaints book to report the “carelessness and substandard” nature of the service but was not provided one. Following the incident Gaikwad admitted to beating the staff member, telling reporters "I am not a BJP MP. I am a Shiv Sena MP and will not tolerate any insult. Let the employee complain. I will complain to the Speaker and other authorities." “Yes, I beat him with a sandal 25 times. Should I tolerate abuses from the media, from the company (Air India) just because I am an MP? I slapped him.” he said. The staff member involved said “Ravindra Gaikwad hit me, used foul language and not only broke my specs but humiliated me in front of the whole crew." Some members of Congress have come to the support of Gaikwad. Rajni Patil said he misbehaved but that the airline were equally to blame for reacting in such a harsh way, while Husain Dalwai said he did not support his act but that the airline was partially to blame. Air India said Gaikwad was banned as he refused to apologise for the incident. 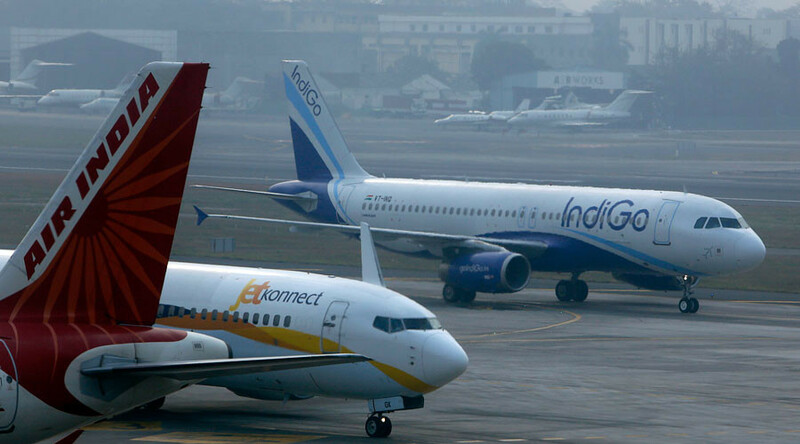 Indigo, SpiceJet, GoAir, Jet Airways and Vistara also refuse to fly Gaikwad.